Resident Evil 2 announced a one-shot demo which you have to complete under 30 minutes, now this though may not seem like much of a task but with an open world game, this too feels inadequate as there is so much to explore, and examine in the game. To overcome this a new trainer was released which stops the clock from running down, enabling you to take your time and explore every nook and corner of The Racoon City Police Department building. The game is riddled with padlocks and safes around the building so to work a way around it we have found a trainer that stops the countdown so that you can roam the creepy corridors and horror halls at your comfort. 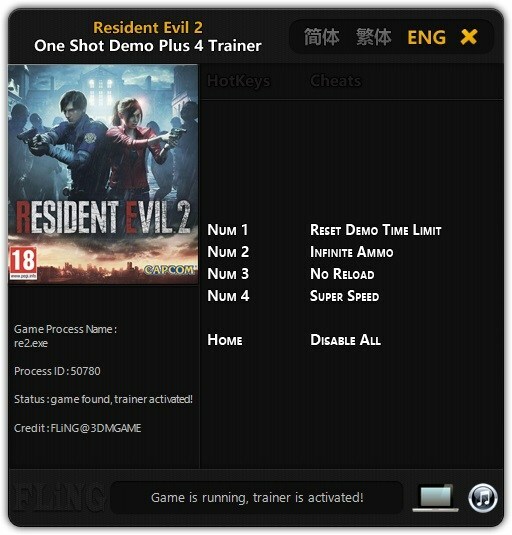 Here is the link where you can download the infinite time trainer for Resident Evil 2. If the Trainer has a bug or something, then follow the below steps to solve it. Now right click on the game by Steam and select Properties click on updates and uncheck the synchronization box with the Cloud. Note: If you don’t disable, the file will return, in this method it is necessary to reopen the game when the time finishes. If you are struggling with the How to solve Medallion Puzzle, Dial Locker Codes in RE2 demo then do check our Resident Evil 2 Wiki Guides to know more about the game leaks.